Rescheck Code Options in Rescheck Web and Rescheck Desktop | $79 RESchecks & Manual Js. $79 Any Plan. Any State. 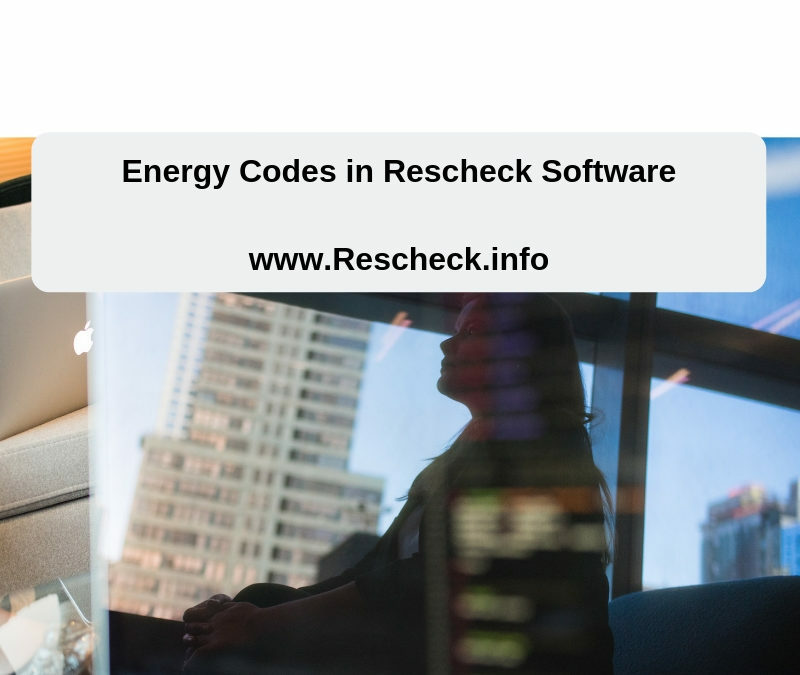 Today on the Reschexpert blog we want to talk about which IECC and state specific energy codes are currently available in the newest renditions of Rescheck Desktop and Rescheck Web online. There are plenty of choices for which code to use and finding the correct one before you start your construction project will save you lots of time and money. The Current Rescheck IECC Code Options in Rescheck Web and Rescheck Desktop. IECC 2009, IECC 2012, IECC 2015, and IECC 2018. You can choose these by logging in to the Rescheck Software online or downloading the latest Rescheck Desktop software. Then on the upper right hand side of the screen choose the area labeled “Code” this dropdown menu will allow you to choose. One IECC code that is no longer in the Rescheck Web online Rescheck Software or the Rescheck Desktop download is the IECC 2006. You have to search through older versions to find this rendition and we find that very few building departments are still using this over decade old code for their projects. If your building inspector is requiring it we have older versions of Rescheck Desktop installed and can easily provide you with a IECC 2006 Rescheck. The Current State/City Specific Code options in Rescheck Desktop and Rescheck Web are Florida 2017, Georgia 2011, New York City Energy Code, Puerto Rico, Utah 2012, Vermont 2011 Energy Codes. A state or city specific code is something that a jurisdiction has worked with the Department of Energy to provide an option that meets their areas climate zone and building standards more closely that the options of the IECC code array. Most state or area specific codes are very easy to work with and can provide you specific insight to what your local climate zone needs for insulation and component specifications. A state specific code that has strangely been missing from Rescheck Desktop Downloads and Rescheck Web online software is the Wisconsin Uniform Dwelling Code. We have asked as to why it is not longer available in current versions, and have yet to find out why. The more confusing area of the Wisconsin Uniform Dwelling Code is that building departments across the state seem to be confused as to which code they should now use for their Reschecks. We find that most have moved over to the IECC 2009, however we have also seen certain areas require a IECC 2012 or IECC 2015 Rescheck. Even worse many building departments still fail projects that do not use the Wisconsin Uniform Dwelling Code. It does not seem fair to the homeowner or the builder to require a code that is no longer included in current versions of the software. We have older versions of the Rescheck Software installed that still include the Wisconsin Uniform Dwelling Code so we can easily meet this need. The best way to find the correct code in Wisconsin or anywhere else in the United States is to give your building department a quick call before starting your Rescheck. If you hire us to create your Rescheck we will call them for you. Overall the many different options for Rescheck creation in Rescheck Desktop and Rescheck Web is impressive. It is amazing to think about the time it took implement and install the options into the software. Over the course of a month we will see each one of these codes used in additions, alterations, and new construction. If you have a Rescheck that needs created with a current IECC, state specific code, or a code that is no longer included in the software, we can help. Simply email us a set of your plans to [email protected] and we will get your Rescheck started and have it ready in 4-6 hours. Give us a try today.